Even the most organised among us need checklists! Here is a great guide to help you get started - 12 months and counting! Have a discussion to see what you both would/would not like. Start a guest list and revisit it often. Decide who is paying for what – and will you accept help from family. It may not be a bad idea to take out wedding insurance - just in case! Decide what season you would like and set the date. Decide who you would like to be your bridesmaids and groomsmen and ask them if they are happy to do it. Decide what kind of entertainment you want, for the ceremony and the venue. Research and consider options for your venue and ceremony decor. Research and book photographer, videographer, band, and wedding planner if desired. Check with your Wedding Venue, they will often recommend suppliers. Have a look online to see what wedding gowns are popular and create a Pinterest Board for the ones you like. Book an appointment with a few different bridal shops. Why not send a 'Save the Date' card just to give friends and family advance notice. Are you planning on doing anything yourself, make a list of DIY projects that need doing and ask your bridal party to help. 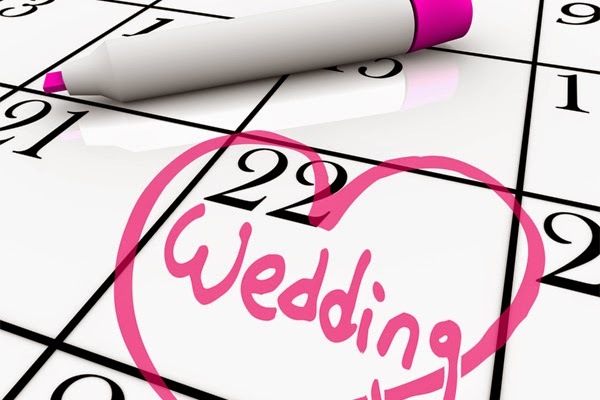 Start a wedding website or planning diary to make sure nothing is missed! Hello dear, I am also a wedding planner and the list you have shared here is perfect, because I also follow the same checklist and never fail to do my work accurately. It really makes me feel satisfied.